The Cook & Brown Public House, a Providence treasure by Blackstone Boulevard, serves up a mean Lobster Bisque. They also serve a famed lobster roll at brunch (!) though you’ll have to wait until Saturday. The “mobile bistro” a.k.a. food truck’s Twitter account says it all. Vive la jour de homard nationale! Hemenway’s dishes out lobster concoctions of all stripes: in addition to the traditional Maine lobster served whole, the restaurant offers crab & lobster cakes, lobster mac ‘n’ cheese, and Venda lobster agnolotti [Ed. Is this assumed culinary vocabulary? You’re welcome, reader.]. Quick! Before Mill’s replaces its summer menu with fast approaching fall vibes, order the lobster risotto! If you’re willing to go the extra mile (or 30), you can get all variations of lobster in one place at the Newport Lobster Shack. Newport fishermen built the shack in 2009 in order to sell their catch without a middleman. Between the steamed lobster, the lobster cakes, the lobster rolls, the lobsterman’s bisque and the lobster strips, you could rack up a five-course meal while directly supporting a local industry. So honor the Senate’s wishes and “observe the day with appropriate ceremonies” by hitting up these lobsteraganzas. 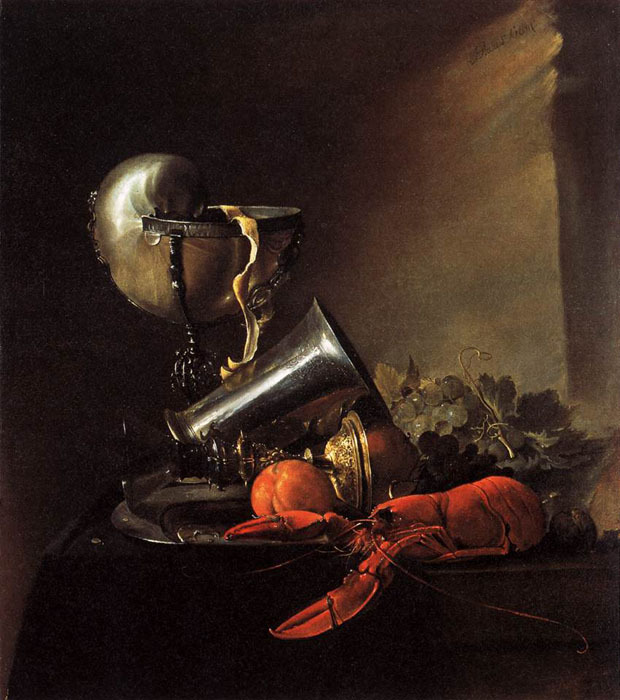 Images via Salvador Dalí, Jan Davidsz de Heem, Roy Lichtenstein, Stephen Rose, Lobster King, and Edith Young RISD ’16.